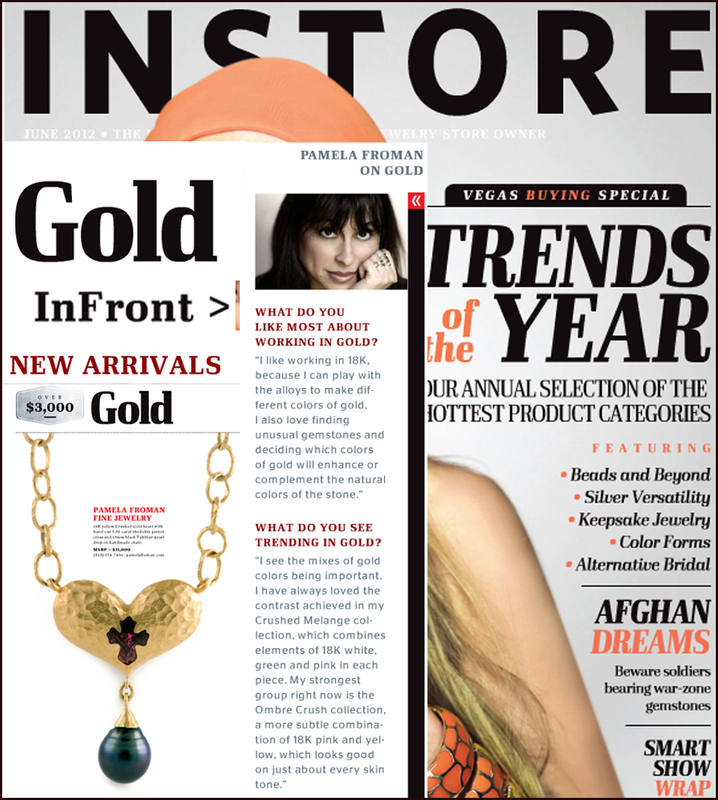 Telluride Inside... and Out article about Pamela Froman's Trunk Show at Dolce! 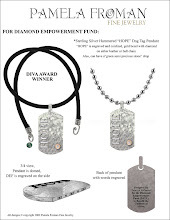 Beau Staley of Dolce and Pamela Froman plan to donate a percentage of the sales from Pamela’s trunk show to the fire-fighting efforts in Colorado. The best color in town this weekend, Telluride Wine Festival, is not just in wine glasses. It’s in the bling. 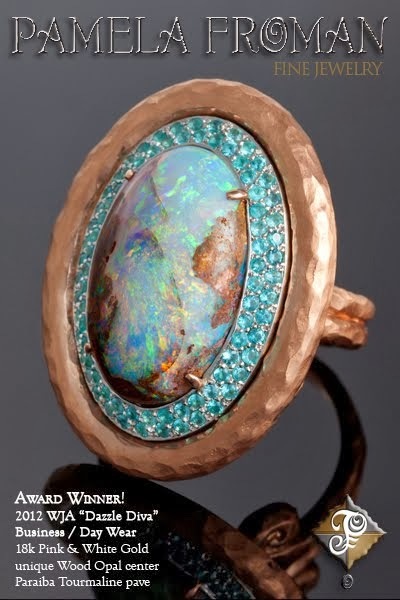 Meet the artist [until July 1st] and check out the trunk show at Dolce Jewels, now – July 5, 11 a.m. – 8 p.m. Pamela Froman’s latest collection of handmade, one-of-a-kind, limited-edition pieces comprised of multiple colors of precious metals (22 karat gold or platinum) and rare natural stones is featured. 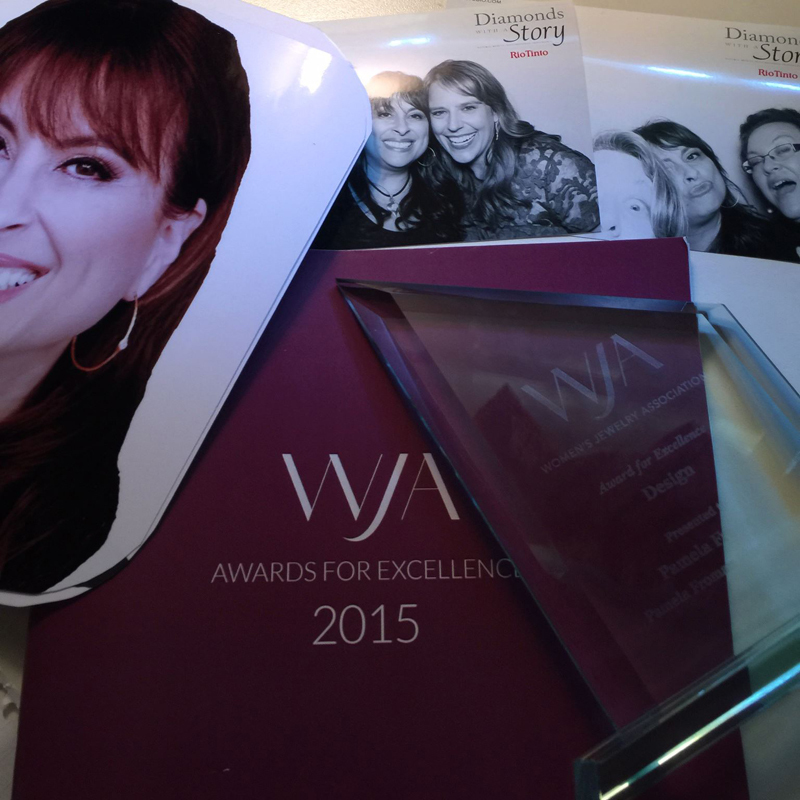 “We have been working with Pamela for about four years. We chose to include her line at Dolce because of the uniqueness and quality of the work. For this collection, Pamela worked in colored gold (brown and green) to create her signature, forged look of rustic elegance. 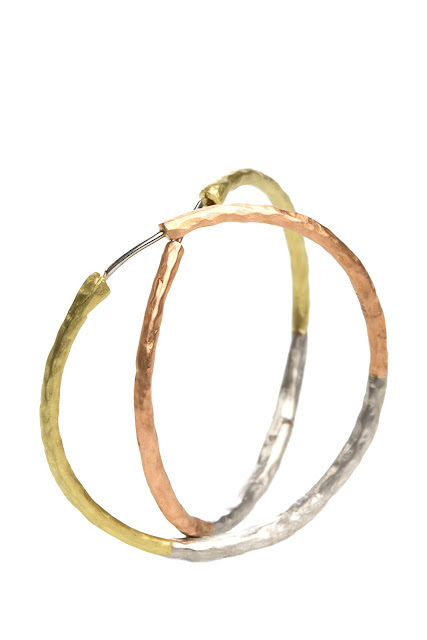 The different colors of the metal blend seamlessly together. Pamela’s distinctive designs can be worn day or night and as easily on the streets of Telluride as New York.” said Beau Staley, owner, Dolce. 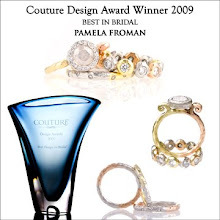 Born and raised in New York by her mother, the well-known sculptor and designer, Ann Froman, Pamela graduated from the prestigious Fashion Institute of Technology. She subsequently moved across the pond, settling in Paris, where she began her career designing jewelry for the top couturier salons, including Courreges, Cacharel, Carita, Guy Larouche, and Valentino. 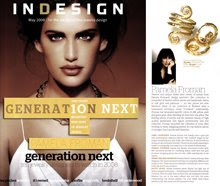 Pamela feels strongly that individuality is the underlying theme of beauty in design. To set up a private appointment with Pamela, call 970-728-6688. 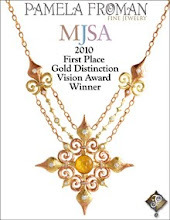 To learn more of Pamela’s history as a jeweler, click the “play” button and listen to an interview I did with the designer in September 2010. 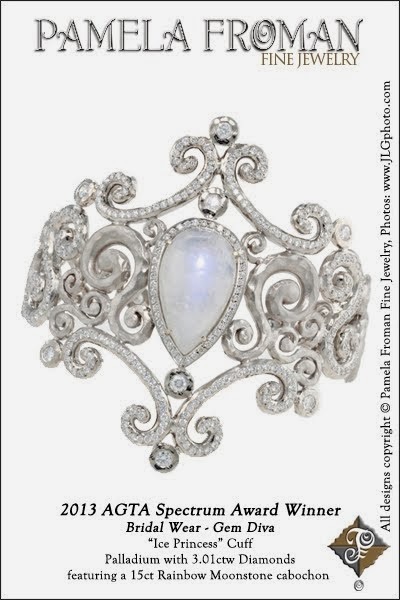 To learn more of Pamela’s history as a jeweler, click this link to visit the original article on Telluride Inside... and Out, where you'll have the option to listen to Susan Viebrock's interview with Pamela from September 2010. Or, visit our September 1st, 2010 blog post that includes the same podcast interview. We hope to see you at Dolce! 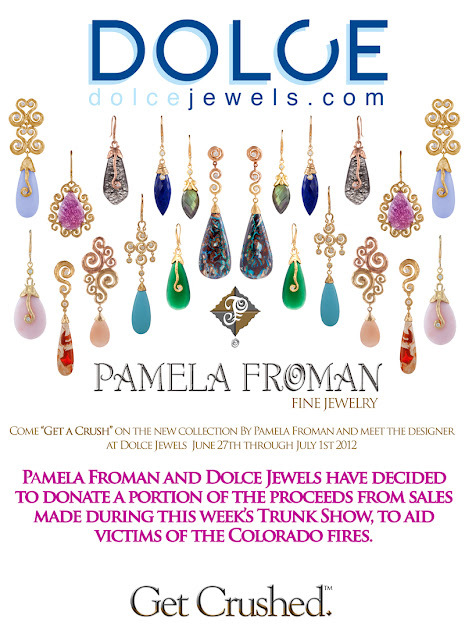 Wine & Jewels at Dolce in Telluride with proceeds going to aid victums of Colorado Fires! Pamela Froman and Dolce Jewels have decided to donate a portion of the proceeds from sales made during this week’s Trunk Show, to aid victims of the Colorado fires. Come visit us at Dolce in Telluride during the Wine Festival... there is not much better than great wine and gorgeous jewelry in the same place!!! 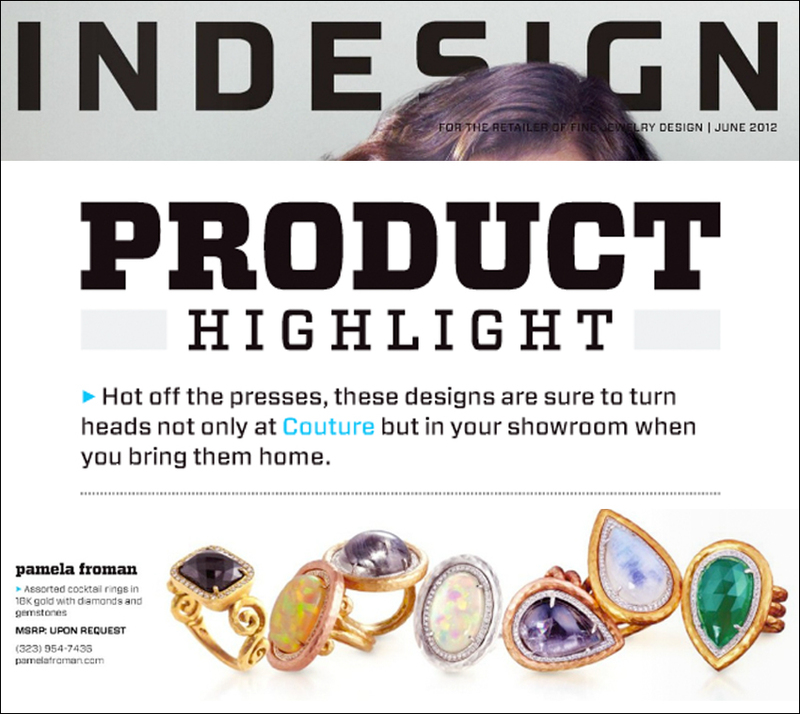 Inside Weddings Magazine featured 2 Pamela Froman Wedding Bands! 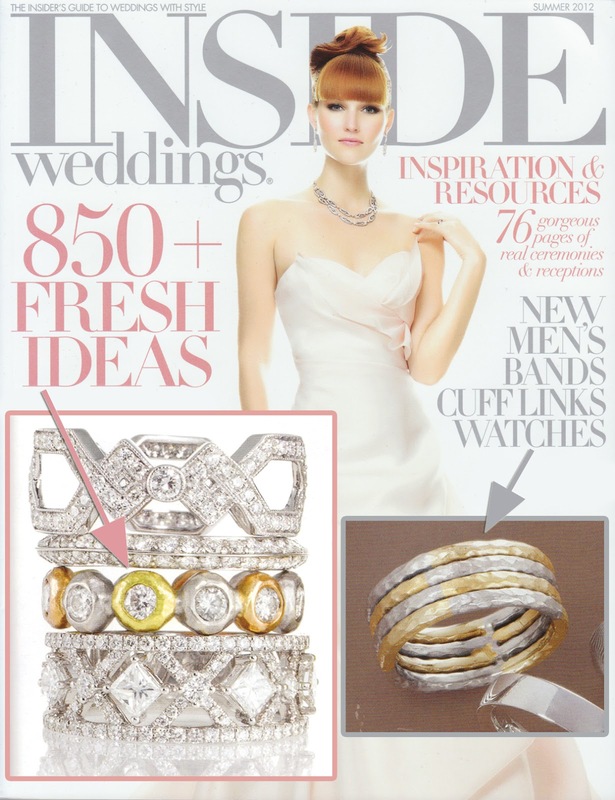 The Summer 2012 issue of the fabulous Inside Weddings Magazine featured two Pamela Froman Fine Jewelry wedding bands: The tri-color (18k Pink/White/Green) "Crushed Melange" Diamond Eternity Band, and the two-tone (18k Yellow & Platinum) "Jay's Harlequin Crush" Men's Band! 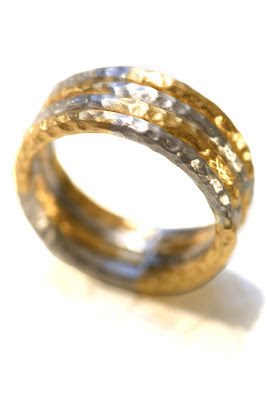 These rings are available for custom-order as shown, or in different color combinations, and the Men's Band (shown 10mm wide) is also available in 7.5mm (3-band width) and 5mm (2-band width) options. 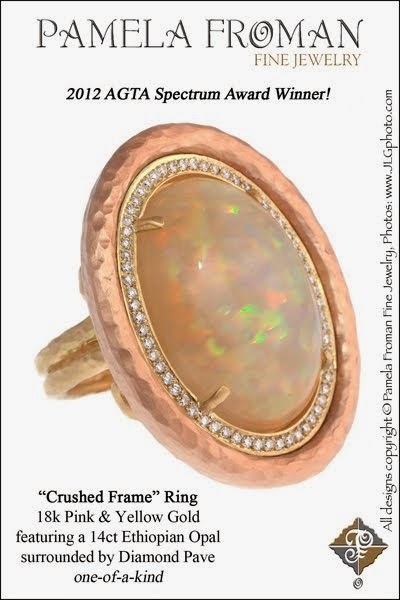 Contact your local Pamela Froman Fine Jewelry retailer if you'd like to see these rings in person. 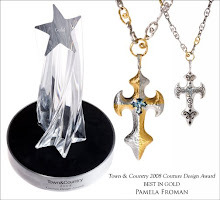 Or, if you don't know who carries Pamela Froman in your area, please contact us for more information. 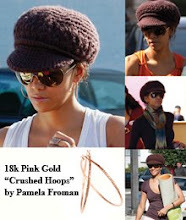 Pamela Anderson wearing Pamela Froman!